If you've ever wondered about the relevancy of LinkedIn, doubt no more. The business-related social network passed the 10-year milestone this weekend and now counts more than 225 million members. But is there really value in spending time on LinkedIn? Is it worth your time to create a robust profile there? Can this platform benefit your business? The answer is yes, on all counts. Here's why. From my nearly 700 LinkedIn connections, I tapped a slew of entrepreneurs with more than 500 connections each about how they use the platform. The consensus: Time using LinkedIn is well-spent. Here’s what they said. "My company has just joined the Microsoft Accelerator for Azure powered by TechStars and they have challenged us to do 100 customer discovery interviews in an amazingly short time frame. I've used LinkedIn for years and connected dutifully with people I've met with professionally, I've joined groups and followed them, but until recently I never really tried to mine the network for second level introductions - that is the part that has been interesting to me." "Just today a contact whose company is having problems reached out. I wanted to help him, and the first thing I could think was to e Endorse him for skills. I have also been connected with scientists and researchers that I was third-degree LinkedIn connected with but never could have gotten access to without LinkedIn." "Honestly, the way it helps me the most is being able to check out candidates before we book interviews with them and to gain intelligence about new hires at client companies, competition and potential partners. Nothing unusual, but we love the real-time aspect of LinkedIn vs. the old ways of calling a friend who knows a friend." "I use LinkedIn as my online Rolodex to keep track of my contacts and reconnect with old colleagues. Using the advanced search functionality I can find people with specific experience in a particular geographic area. This has helped me find vendors, strategic alliances, as well as suggest candidates for job openings… I like the recent ability to customize my profile layout, embedding the slideshare widget under appropriate positions." "LinkedIn is essential to my business. We use the information to determine how to target our business development efforts which increases our efficiency and reduces interruptions to contacts we might have contacted who weren't the right role. Because of LinkedIn we reach out and make the right offer to the right contact most of the time. This increases our sales and, we think, our reputation with our business partners." 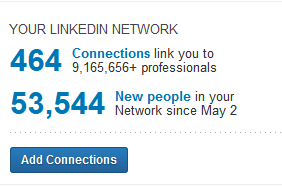 I primarily use LinkedIn as a credential network rather than a peer communication network. 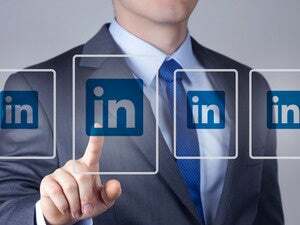 I've found on many occasions, LinkedIn is the primary social network for individuals who are less comfortable using other social networks like Facebook or Twitter. Additionally, it does give an option to contact others and it's useful to see past experience and other connections. I personally use Twitter far more effectively for professionally communicating with people but I have gotten into contact with individuals via LinkedIn I wouldn't have been able to get otherwise. "I track blog posts, notes, musings from colleagues, and trends of where everyone is working or looking to work. [There’s a] big shift to mobile, cloud, social, as opposed to other jobs that are not hot." "In the sales business case, I use Linkedin to discover the internal organigram, without having to directly contact the organization in the presales process. I try to understand who is the boss of who, who has connection with whom so that then I can try to reach out people who are not directly on the deal at hand but can give me info on the people who are." Cultivate as many contacts as possible. To get the most benefit from LinkedIn, invest some time building out your profile. It's important to include specific, significant results. For entrepreneurs this means communicating traction—things like funding dollars from big shot VCs, incredible user numbers or the unique value you deliver to customers. And if you’re not familiar with all of LinkedIn’s deeper features, spend some time playing around with them. For example, you can keep tabs on a particular company by following it (think competitors), claim a vanity profile URL you could include in your email signature to draw people to your profile, as well as join more than 1 million groups—a great way to expand your network, contribute thoughtful commentary and demonstrate expertise in your given field. Speaking of expanding your network, you want to have as many connections on LinkedIn as possible. Even though LinkedIn itself says it only wants to bring together people who actually know each other, I accept connection requests all the time from people I don’t know. Unlike Facebook where I might be sharing personal or location information I wouldn’t want strangers to have, on LinkedIn it’s all about business, and the more people you have access to, the better. Gmail users who are of the same mind should check out Rapportive, a slick tool that shows you work and social network information about the people who email you. In other words, when you open a message in Gmail, a window pops up that tells you where the person is located, his or her title and company, as well as buttons to click on that let you instantly ask them to connect on Facebook, Twitter, LinkedIn and more. Here's more advice about how to make your LinkedIn profile work for you, including 11 ways to harness its potential as a recruiting tool.